–NXT TakeOver: Brooklyn 4 features stars from the NXT brand, nominally the developmental level of the promotion. –NXT TakeOver: Brooklyn 4 will be held at the Barclays Center in Brooklyn, New York. –NXT TakeOver: Brooklyn 4 will take place on Saturday, August 18, 2018 beginning at 7 PM Eastern on the WWE Network. WWE ‘Summer Slam 2018’ will get all of the media attention as THE pro wrestling event over the weekend of August 18-19 but the irony is that it almost certainly won’t be the BEST event in terms of quality. The WWE’s NXT brand will have the spotlight on Saturday via the ‘NXT TakeOver: Brooklyn 4’ event, also being held at the Barclays Center Arena. To the mainstream, the NXT brand is a ‘developmental’ level which makes the NXT TakeOver: Brooklyn 4 event clearly subordinate to Summer Slam 2018. On the other hand, serious pro wrestling geeks are well aware that the NXT card will very likely be the much better event in terms of match quality. One of the smartest that the WWE has done has been the creation of ‘developmental territories’. NXT is nominally the WWE’s current ‘developmental territory’ but more about that in a moment. The ‘developmental territory’ would historically be a smaller promotion such as Florida Championship Wrestling or Ohio Valley Wrestling. On one level, these promotions were run like many other US independent promotions but unlike other ‘indies’ the endgame was to develop talent specifically for the WWE. It served a number of important functions for Vince McMahon and company: it gave inexperienced but promising wrestlers a place to hone their in-ring and promo skills on a smaller ‘stage’, older wrestlers that were hard pressed to handle the tortuous grind of full time in ring work were often sent there to share their skills and experience with the younger talent and it gave aspiring ‘out of the ring’ talent from referees to ring announcers a place to ‘learn the ropes’. Established WWE stars could go there to rehab after an injury or just to stay busy until the ‘big promotion’ had a new program for them. At this point you might be saying to yourself ‘wow, that sounds like the old NWA territory system’ you are 100% correct. Prior to the WWE’s expansion which led to the consolidation of the pro wrestling industry things were run much differently. Pro wrestling in North America was split into a number of territories owned by individual promoters. Many of these promoters belonged to the National Wrestling Alliance (NWA) which was part professional organization part mob family. Promoters would only run shows in “their” areas (usually a state or region) and wouldn’t do so in areas under the auspices of other friendly promoters (a relative term if ever their was one). Most wrestlers would spend time in one promotion and after their act got stale they’d move to one of the other promotions. This created a situation where new faces were always coming into the mix which kept wrestlers busy and the product fresh. Young wrestlers could gain experience in a smaller territory like Don Owen’s Portland circuit before moving up to a bigger organization like Mid Atlantic Championship Wrestling which ran in the Carolinas and Virginia. There is definitely some irony in Vince McMahon trying to re-invent a business model that he’s often blamed for destroying. Vince understands the history of the wrestling business, however, and he understood that there were some big upsides of the way things ‘used to be run’. Over the past two decades the WWE used several pre-existing promotions to develop talent but in 2012 they brought that function ‘in house’. 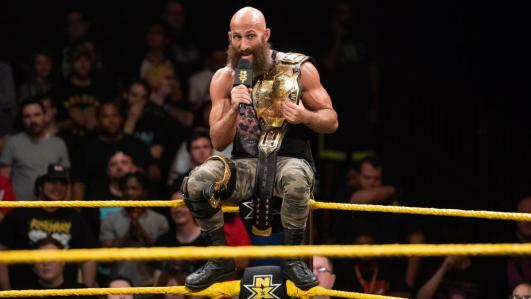 The NXT brand was created to fill the vacuum left by the closing of Florida Championship Wrestling and in the years since has become very popular in its own right. In fact, there are some things that the NXT brand does better than the ‘major brands’ of RAW and Smackdown. It’s debatable if NXT actually *is* a developmental territory. The wrestling media often treats it as such and will report that a NXT wrestler is ‘being brought up to the main roster’ when he joins RAW or Smackdown. Although there are plenty of ‘developing’ talents working in NXT there’s also a ton of serious talent with a wealth of experience. There are plenty of veteran wrestlers on the NXT roster ranging from ‘solid pros’ like Chris Hero aka Casssius Ono to someone like Ricochet who is a already a legit international star and on a short list of the most insanely talented wrestlers on the planet. Developmental circuit or not, NXT has become known for their extremely high quality of wrestling. To be fair, it’s a different type of wrestling than the prototypical ‘WWE product’ with more in common with the top pro wrestling organizations in Japan. The emphasis is on in-ring work and the feuds and storylines have a more ‘old school’ feel. It’s more of an ‘adult product’–not in the way that the ‘Attitude Era’ WWE was an ‘adult product’ but NXT lets the wrestling itself take center stage. Overall, the quality of wrestling in the WWE proper has shown marked improvement in the past few years. You can’t have guys like Shinsuke Nakamura, AJ Styles, Hideo Itamai (aka KENTA), Finn Balor (aka Prince Devitt) and Daniel Bryan (aka Bryan Danielson) on the roster and not have decent wrestling. Even so, the WWE in-ring product isn’t as intense as that found in New Japan, Ring of Honor–or NXT.